In-Home Tutors Nashville launched in August 2009, as the fifth In-Home Tutors office. Other In-Home Tutors branches are in Atlanta, Orlando, Tampa, Dallas, Detroit and throughout Connecticut. All offices are wholly owned by Deo Gloria LLC. Deo Gloria also launched HomeworkCoach in January 2010 as a nationwide service providing in-home “homework helpers” — specialized homework tutors whose goal is to help keep ADHD students on top of their schoolwork. 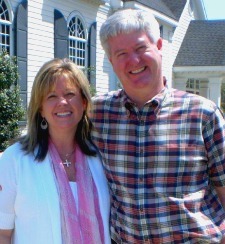 Deo Gloria was founded by Dennis and Deelee Freeman, who have lived in the Atlanta area since 1996. Dennis has an M.A. in Psychology from the University of Cincinnati. Deelee has an M.A. in Communications from the University of Denver. Deo Gloria LLC is based in Roswell, Georgia. Our company has an A+ rating with the Better Business Bureau and has served more than 6,500 students since 2002. Contact Deo Gloria LLC by phone, 770-645-8750, mail: 4629 Clary Lakes Dr., Roswell, GA 30075, or email: deogloria@bellsouth.net.